The Akmal brothers were away playing the National T20 cup when they got the tragic news. Kamran Akmal, Umar Akmal, and Adnan Akmal have represented Pakistan in International cricket. Currently, the brothers are playing in the National T20 cup where they learned about the demise of their mother. 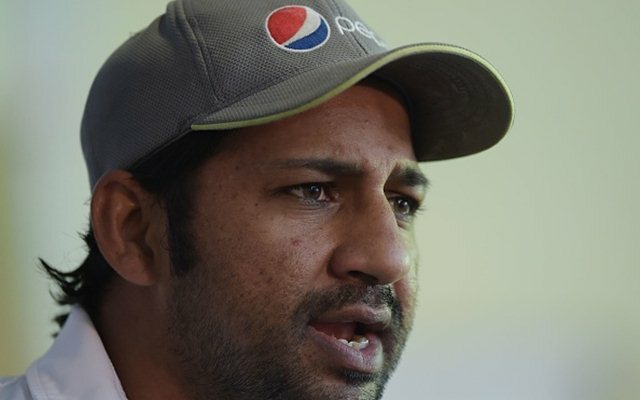 A lot of people have offered condolences to the family, including the captain of the Pakistan cricket team, Sarfraz Ahmed. The Pakistan wicketkeeper-batsman has shared the dressing room with all the three players at different points in his career. It is natural for him to offer support to the family in the tough times. The Pakistan captain who is known as a tough personality on the field tweeted to offer support to the Akmal family. He also offered condolences on behalf of the entire team and the management. Sarfraz added that he wished that the mother of Akmal brothers goes to heaven. He concluded the tweet by assuring that his thoughts and prayers are with the family. According to the reports their mother was sick for a long time. She breath her last in Lahore while her sons were away playing National T20 cup. The trio left the tournament as soon as they were given this tragic news. Adnan Akmal who is younger than Kamran but elder to Umar Akmal confirmed this news. He informed his followers on Twitter that her mother has passed away. He also requested them to remember his mother in their prayers. Adnan concluded his tweet by praying that may Allah provide his mother a place in heaven. The Akmal brothers have played an important role in the success of the Pakistan cricket team in the last few years. The three brothers have combined to represent their country 486 times in all forms of International cricket. Kamran is the most experienced among the trio, as he played 268 matches for Pakistan including 54 Tests. On the other hand, Umar is the youngest among the three. The talented batsman represented his country 193 times in International cricket. Adnan was an integral part of Pakistan Test team at one point in time. He played 20 Test matches for the country so far in his career.